Africa Magic presents to you that unique platform to shine bright! 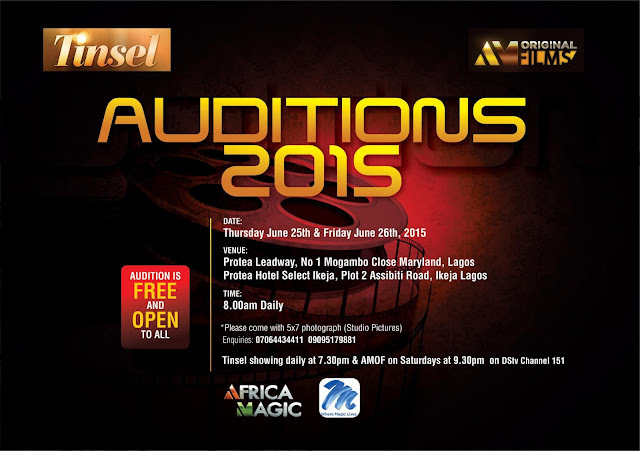 Sub-Saharan Africa’s most watched soap series Tinsel and Africa Magic Original Movies will be holding auditions this month! Be sure to come with an individual 5 by 7 studio shot of your person. Admission is absolutely FREE and open to everyone!…Don’t miss it!